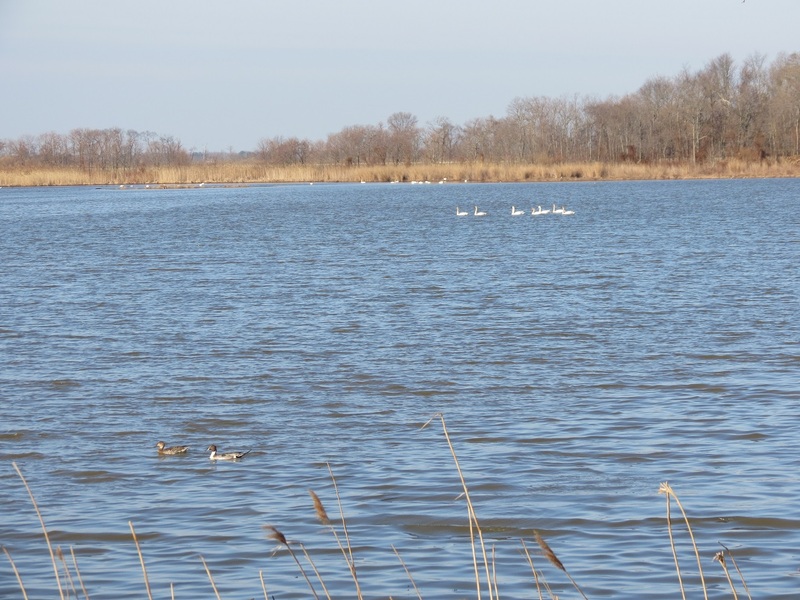 Sorry, this is just a short post thrown together on a busy weekend.. We just came home from this weekend's overnight getaway to the shores of Delaware and Bombay Hook NWR. We were hoping to see some shorebirds, winter ducks and just any kind of bird would do..LOL, My name is Eileen and I am ADDICTED to birds and birding. 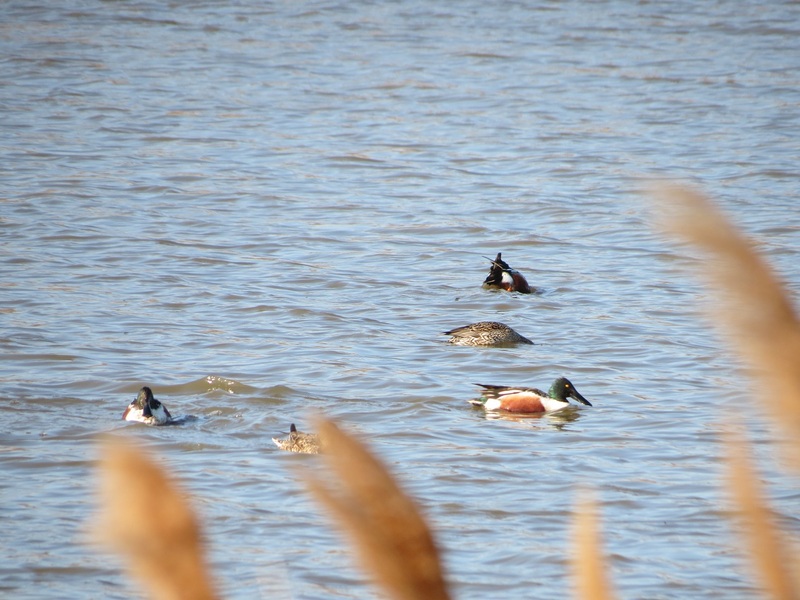 Bombay Hook NWR is one of my favorite places to bird in Delaware.. On this day we saw many Northern Shovelers. 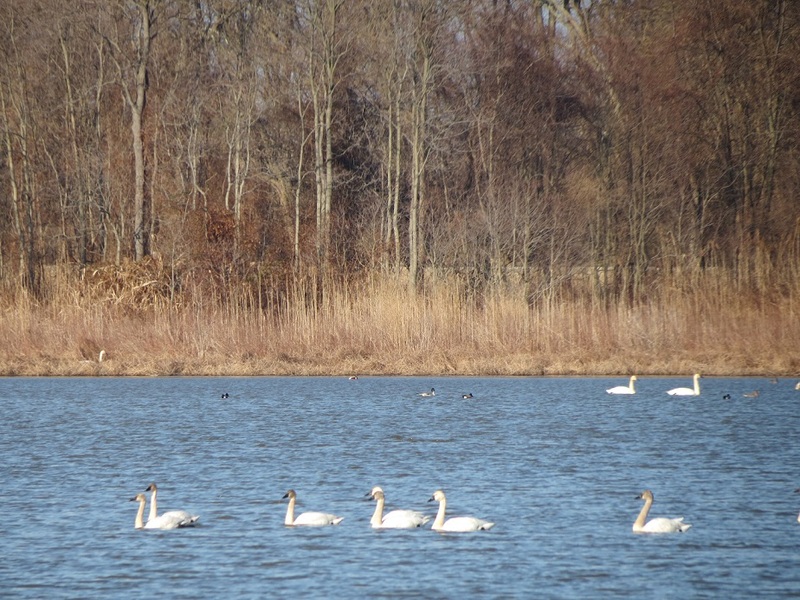 This seems to be a big year for seeing the Tundra Swans..Maybe they are replacing the non-native Mute Swan. A view of one of the ponds, some Tundra Swans in the distance and a pair of Northern Pintail ducks closeby. 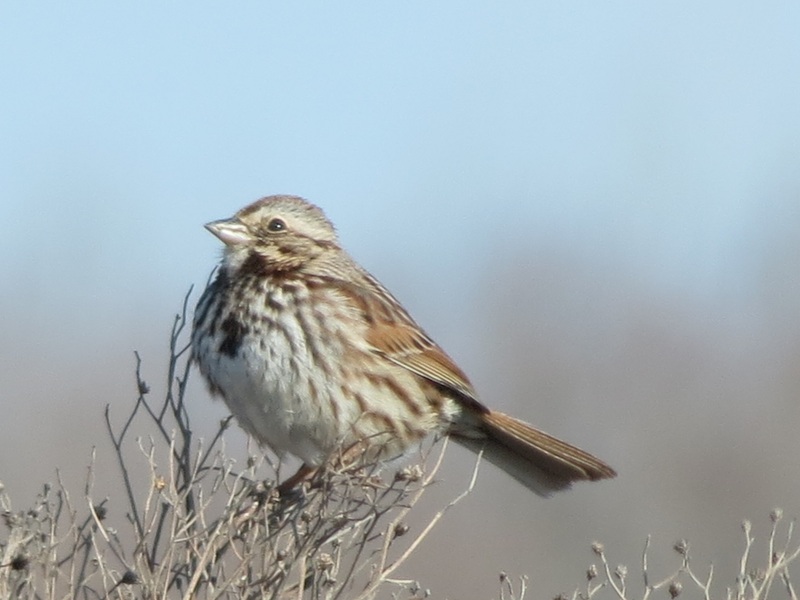 The Song Sparrows were seen all over the wildlife refuge. 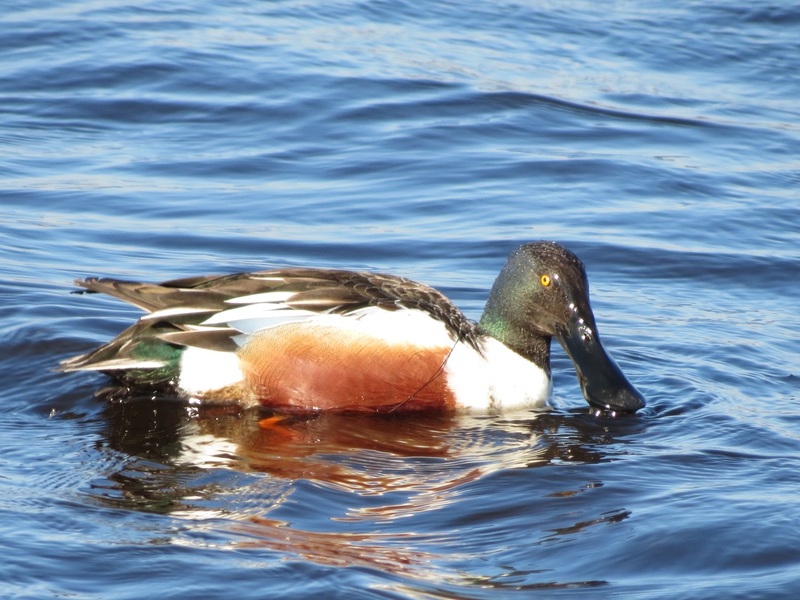 One of my favorite shots of a Northern Shoveler. I love their pretty colors and their bill. Some more Bombay Hook birds were the Hooded Mergansers, Pied-billed Grebe, Song Sparrows, American Coot, Yellowlegs, GB Heron. 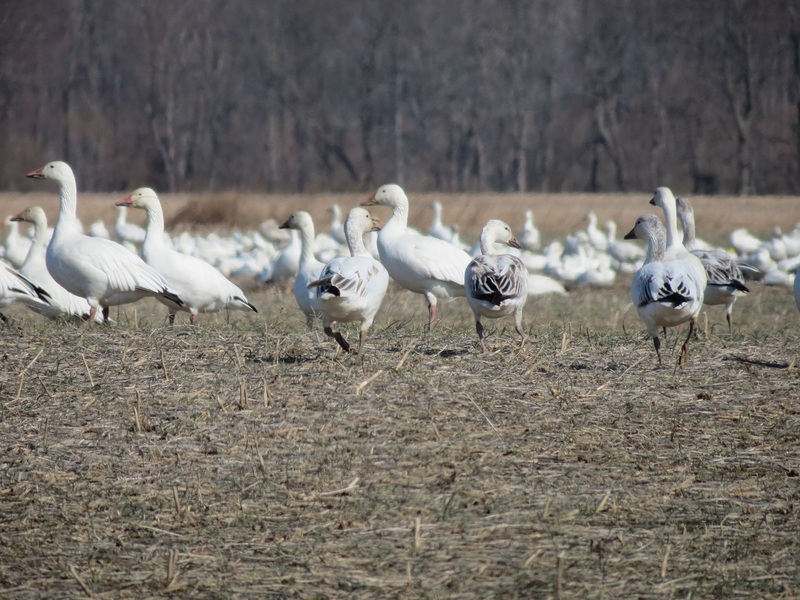 The Snow Geese have been seen on many fields on the Delaware shore, these were on the road out of Bombay Hook NWR. We also made a quick drive thru Port Mahan, we had some nice views of my FOY Osprey, a Northern Harrier, American Kestrel, Black Ducks and many gulls.. There is much more from our loop trip to the Delaware shores and we continued on thru Ocean City, Md and Assatague Island. I will be sharing more of our trip on my blog. 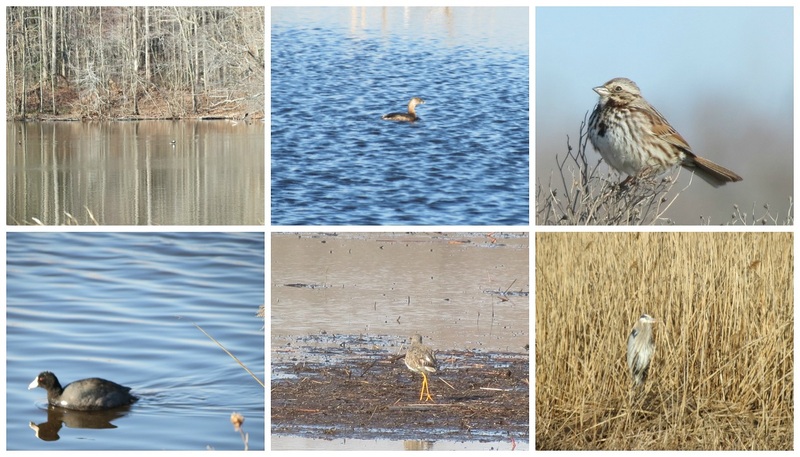 For now I hope you enjoyed our visit to Bombay Hook NWR. A very nice variety of species there. You must have been thrilled to see the blue sky after all the snow you've had this winter. a nice variety of photos Eileen, and another lovely weekend expedition you two shared. Those Shovelers are really so quaint! 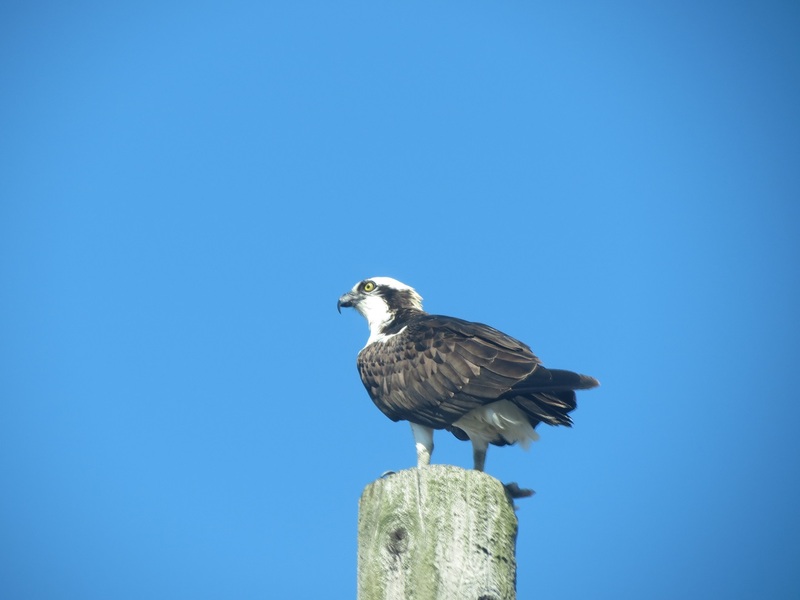 Nice pictures.. Beautiful Osprey.. A regard..
You saw some real beauties in Delaware, Eileen. Beautiful Terrific images! The snow geese are looking lovely, I hope to see them one day. BTW, I am a member of your club.....I, too, am addicted to birds. Hello Eileen!!Wow! !What a beauty! !Such beautiful birds you saw in Delaware!Great shots!! Sounds like a great trip! Enjoyed seeing your nice collection of bird pics. Gorgeous wildlife here!! Love that capture of the osprey!! Great narrative, I love the Song Sparrow.